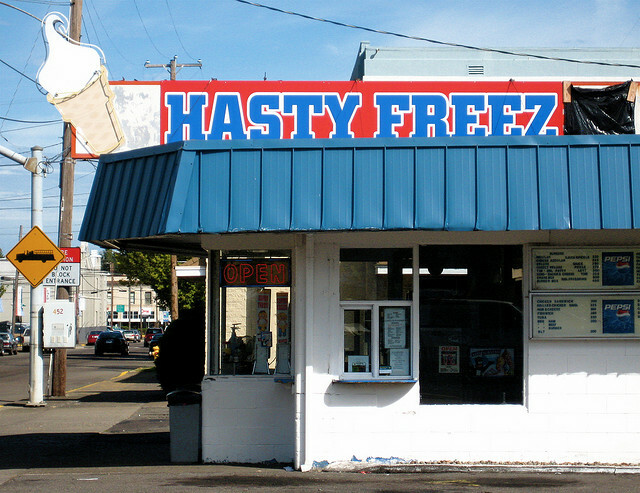 Durng my West Coast voyage through some former childhood haunts, I found myself in Albany, Oregon, the town where I grew up. A city: both rural and not. Neither urban nor suburban. Not even exurb. Apparently, since I left several decades ago, that little city in the Willamette Valley became known for its Victorian neighborhoods. “Let’s go look at the hundreds of homes” squealed my good friend. Whoopee. JUST what I want to do: drive by a bunch of old houses in Albany. Which, attitude aside, is precisely what we did. In the verdant land of Oregon, not just the peace-love-tie-dyed people are on the green side. Green in that sustainable way, I mean. On the coast of Oregon, in the most plebeian of food establishments, you will find little signs indicating the provenance of the food you are purchasing. Or, about to eat. 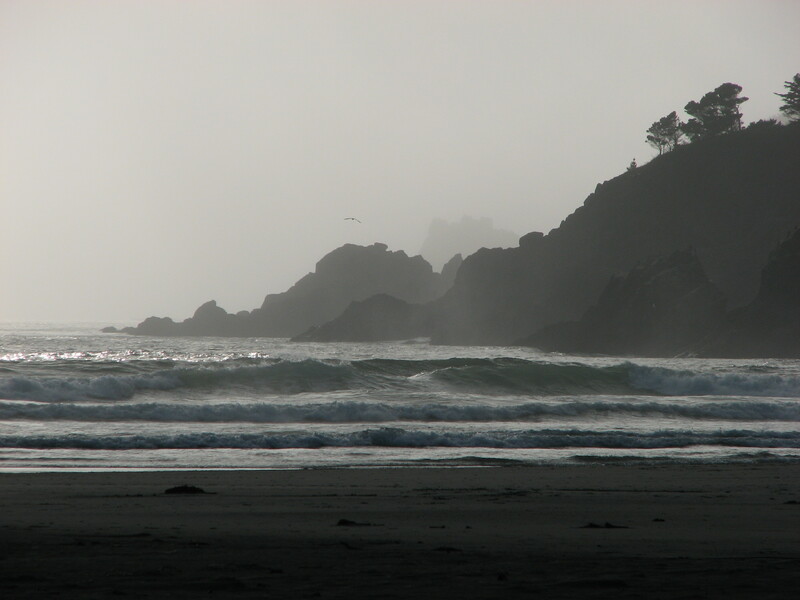 In Newport, Oregon there are several “restaurants” that feature locally caught fish. And on the menu or in the glass case, you see things like LC Big Buoy – meaning Line Caught aboard the boat “Big Buoy”. The fish is, of course, fabulously fresh and delicious. But, you know you are the in presence of people who understand “sustainable” at a very real level. I put “restaurants” in quotations, by the way, because some of them are really fish markets with some tables and a great cook in the back who understands how to coax the best flavors from the catch of the day. I do enjoy “food as metaphor” — for this practice in a old fishing port in the central coast of Oregon, shows they respect the very stores they deplete everyday when they catch what the Pacific has to offer. On a practical matter, that means I have had scrumptious simple grilled halibut sandwiches. Clam chowder with huge chunks of local clams swimming in a sea of white cream. And, I haven’t even moved to Dungeness crab and salmon. 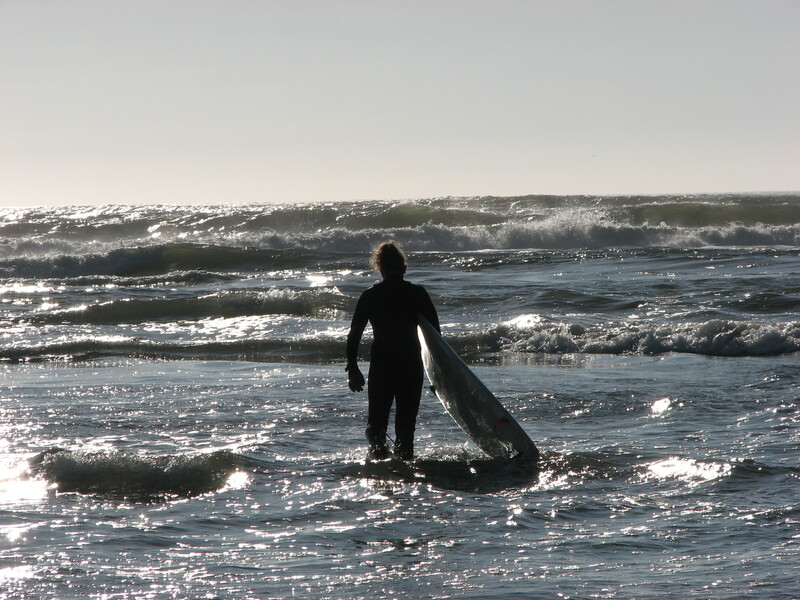 It’s in season is not just a slogan here on the Oregon coast. It’s Life. Maybe we just need to think of everyday eating the way we do vacation eating. Or, maybe it is more about mindfulness. I don’t know. It is just that when I’m on vacay I consider all the wonders of what I eat. Indulgences allowed, of course. Here I am in Portland, Oregon – the land of filberts, salmon and Pinot Noir. Real farm to table stuff (though it makes Portlanders crazy when the Times writes about Portland cuisine). 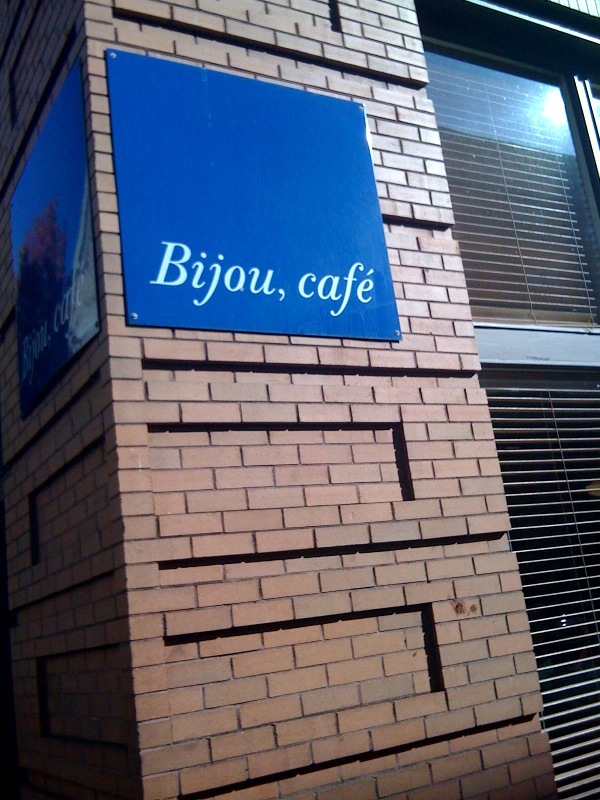 It’s Sunday morning, a few hours before brunch time and we found ourselves at the Bijou, Cafe. Yep, the comma is NOT a typo. I am not sure what conceit is behind the punctuation but here it seems almost quaint. Consider the menu board: spiced lamb hash with pear muffin on the side. Yum! Apple compote on oatmeal with whipped cream. Double yum!! I decided on chantarelle (are they local? I ask. Oh yeah, she says, a guy comes to the kitchen with a bucket of them!”) omelette. With a side order of grilled cinnamon bread! A little piece of heaven, I tell you. I guess you really don’t need un caffe’ and un cornetto to make a meal a delight.